“Geetha is now 18 kgs, scared and in severe pain. She cries herself to sleep and I hold her tight letting her know that she’ll be fine in no time. She tries her best to stay brave but even the sight of a needle scares her. Cancer has made her extreemly weak." 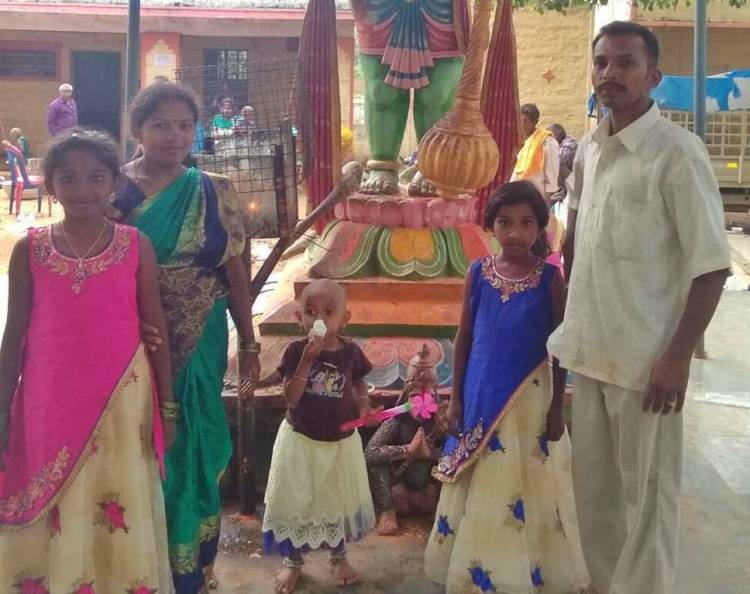 I have flesh on my left kidney, that’s why I have to get those painful injections,” says 8-year-old Geetha when anyone asks her how she is. 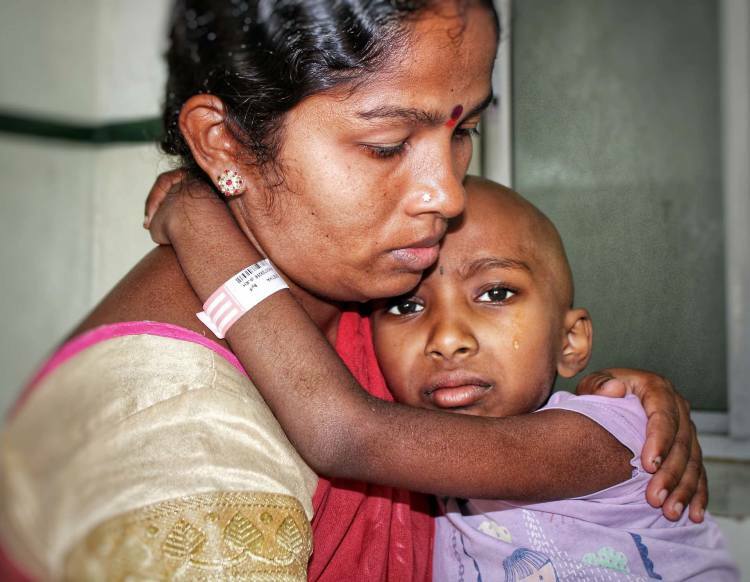 Geetha needs chemotherapy and surgery to survive a growing tumor in her left kidney. Without which, the tumor will rapidly spread and deteriorate her condition beyond repair. 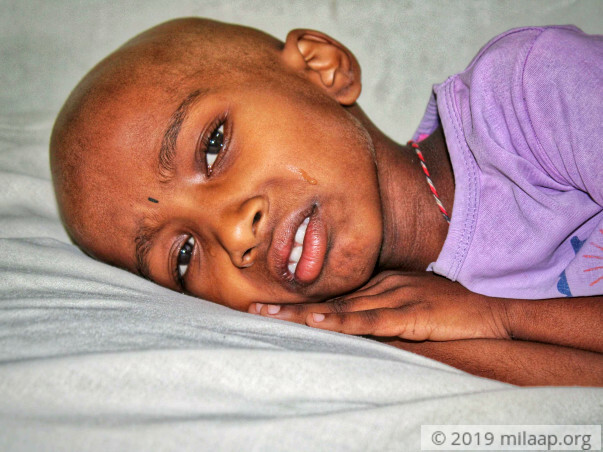 As Mamatha holds Geetha and puts her frail body to sleep at night, she lays wide awake wondering how long she and her husband can keep her in the hospital and continue the treatment that will save her life. One month ago, Geetha returned from her school trip to Mysore happier than ever. Her school was officially closed for summer, and she was excited to play with her sisters, Nanditha (11) and Janavi (3). Mamatha noticed that her stomach was slightly swollen but Geetha didn’t complain of pain, as the days went by, the swelling only increased. Worried, Mamatha and Venkatesh took her to a local hospital. 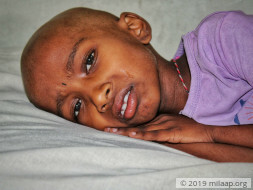 Geetha has Wilms Tumour, a type of cancer that starts in the kidneys. The only way it can be cured is with chemotherapy and surgery, followed by radiation to ensure the tumor doesn’t grow back. 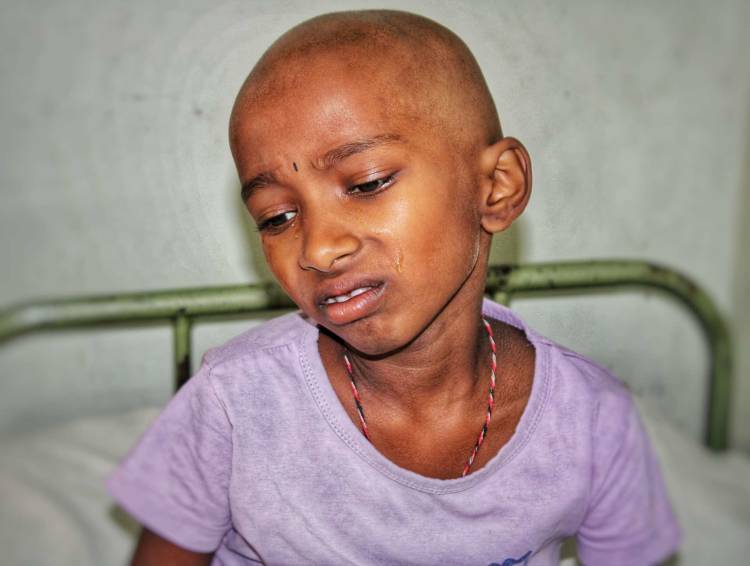 Geetha has started chemotherapy and needs to continue treatment for the next 6 months to live a cancer-free life. Venkatesh is a daily wager who works in construction sites. After a long day of work, he rushes to the hospital with only Rs. 250 in his pocket, eager to see his sick child. So far, they’ve somehow managed to start her treatment, but affording the surgery is beyond their capacity. 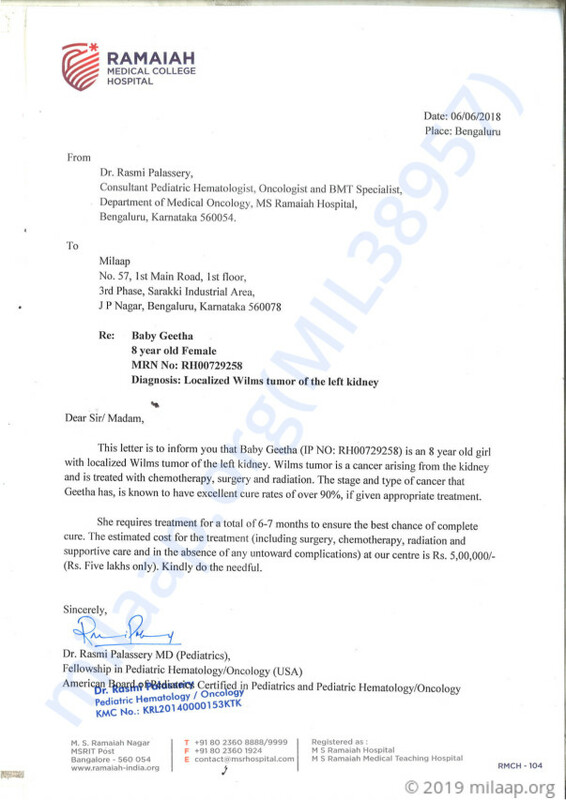 The cancerous tumor on Geetha’s kidney needs to be removed. 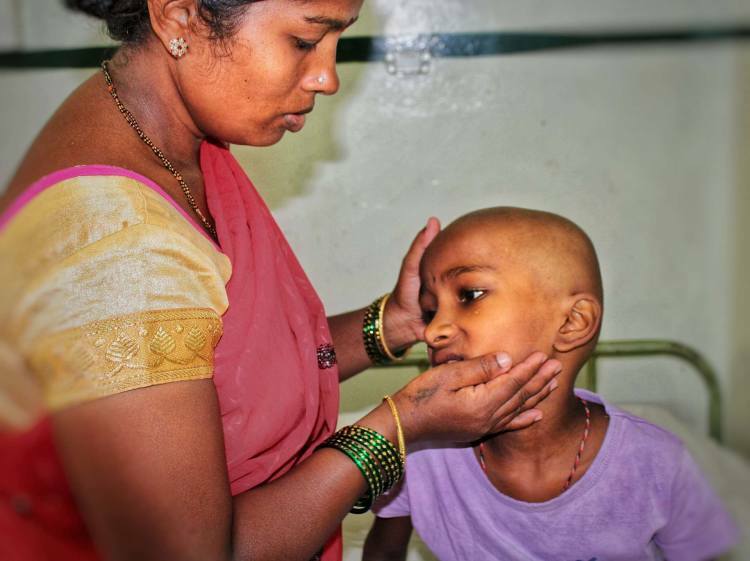 Only an urgent surgery will ensure that cancer doesn’t spread and put her life at risk. 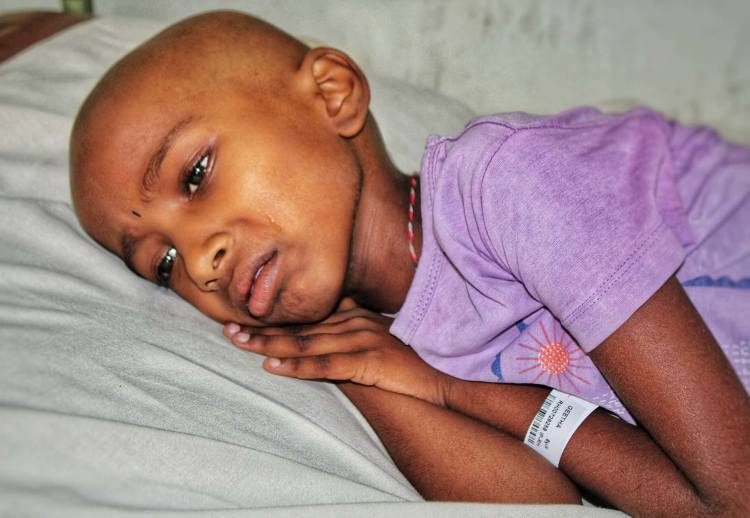 Geetha can be completely cured, but her parents have no means to arrange the 5 lakhs needed for her treatment. 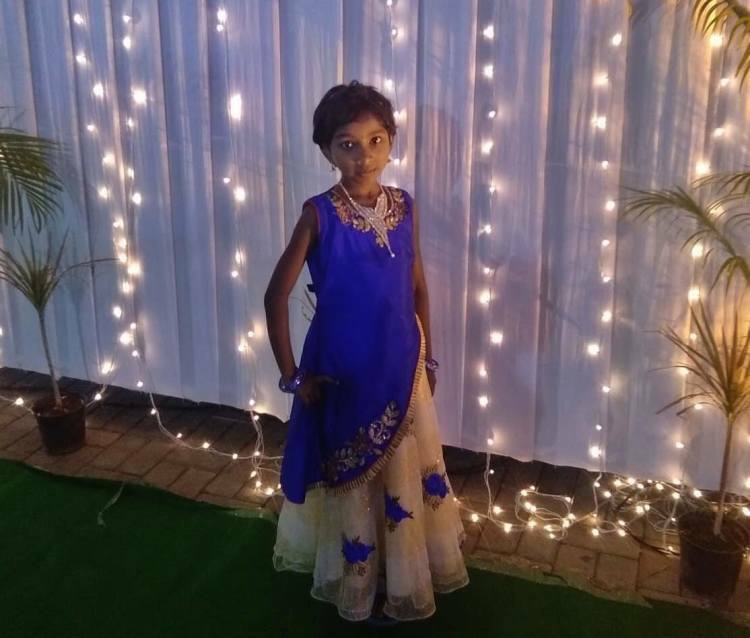 Geetha is eagerly waiting to go back home to her sisters and have the childhood that is lost amidst injections and chemotherapies. Geetha is doing well. Geetha under went CT Abdomen and Pelvis Scan recently and is doing fine now. She comes for her regular follow ups as advised by the doctor. We have some news to share. Geetha is almost completed her treatment and is on regular follow up on OPD basis. She is doing very well right now and will be on regular follow ups with the follow up. Family would like to thank all the donors from the bottom of the heart to all the dononrs who has supported for Geetha's cause. We will keep you updated on her health. Please keep her in your prayers and thoughts. Here's a quick update on Geetha. Geetha is almost completed her treatment and she is doing well now. She id currently under regular follow up. We shall keep you posted.